Beer garden on top of Kyoto Tower was a lot of fun! Sharing Kyoto's writers went to Kyoto Tower to enjoy the beer garden on the 10th floor, the views were nice, the food good, the beer even better. Summer season in Kyoto is hot and humid every day and it is not unusual that the temperature is rising over 35℃ during the day time. So, a beer garden is perfect for such a hot day! 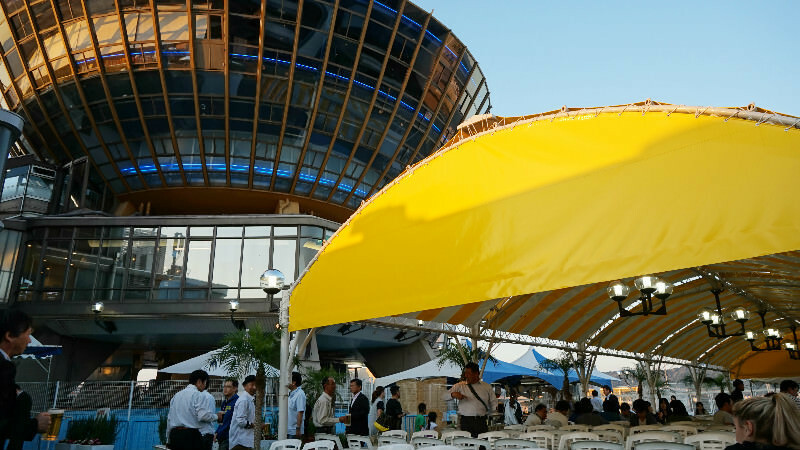 Usually, a beer garden is located on the roof tops of department stores or hotels and we can enjoy drinking in open space with cool breeze. 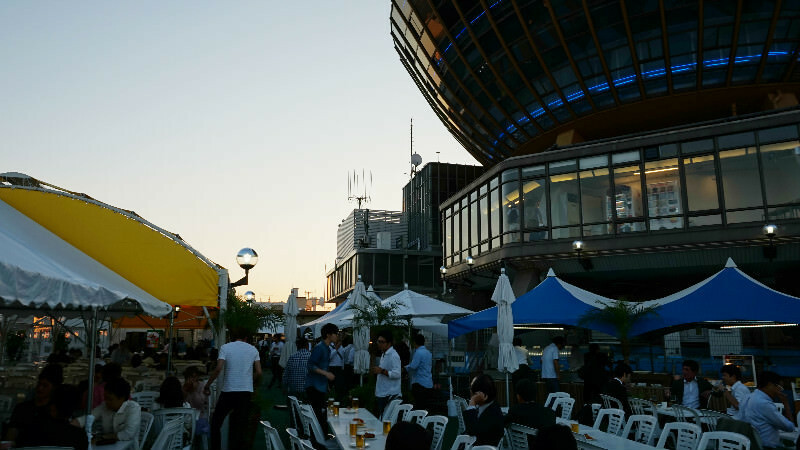 Beer garden is held during the summer season only. 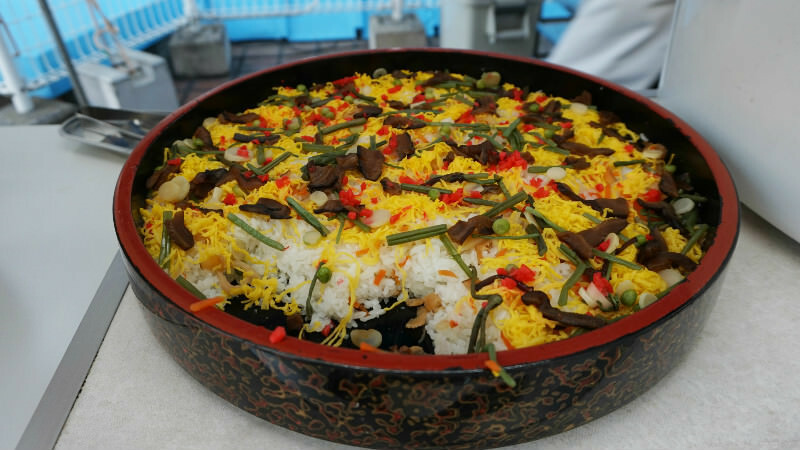 Please enjoy Japanese summer tradition. 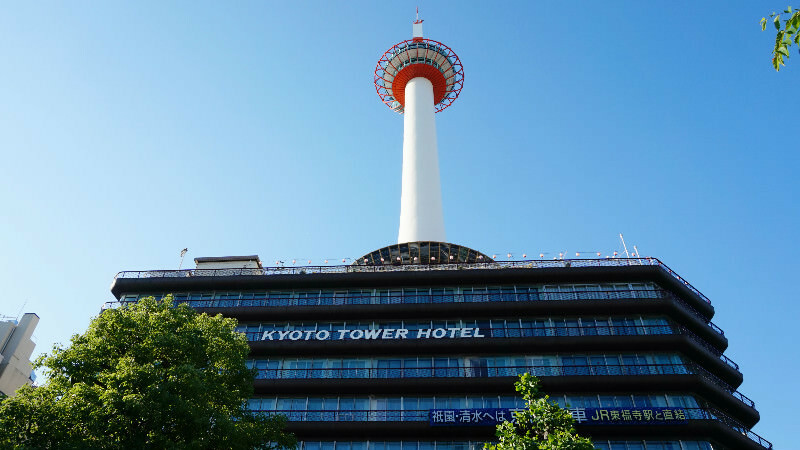 Since you can enjoy not only the beer garden but also the scenery of Kyoto city, we highly recommend Kyoto Tower Roof Top Beer Garden for tourists. Kyoto Tower Building Roof Top Beer Garden is located on the 10th floor of Kyoto Tower. 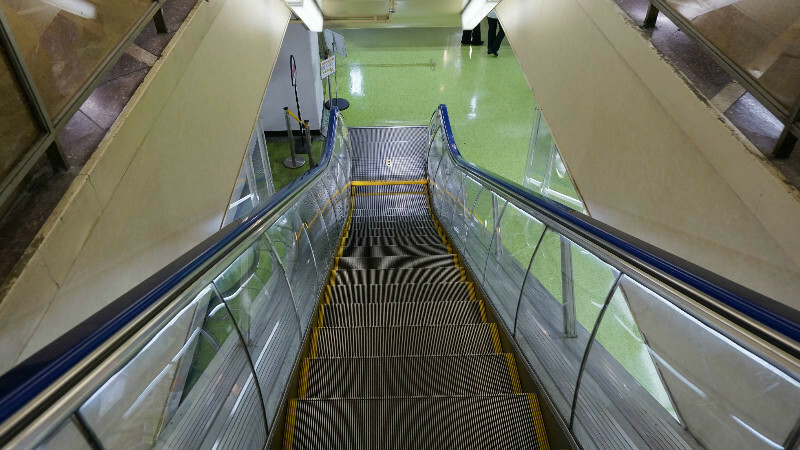 After entering the gate of Kyoto Tower building, please go down to the basement in order to take the elevator which goes up to the 10th floor. 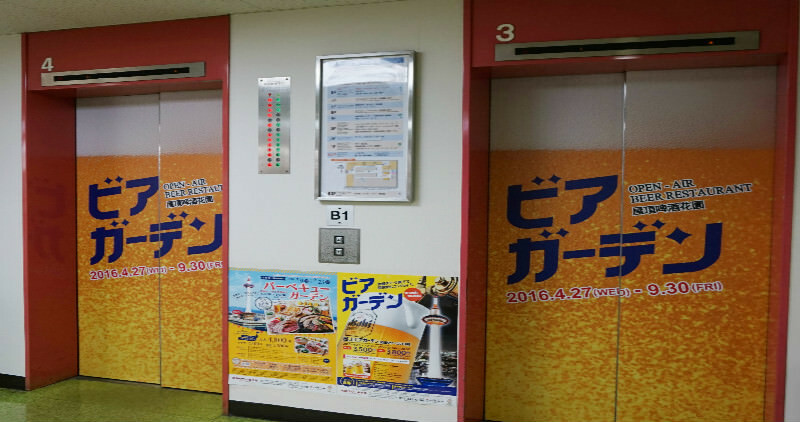 The advertisement of the beer garden are printed on the doors of the elevators. It is a good sign to find out the elevators for the beer garden. 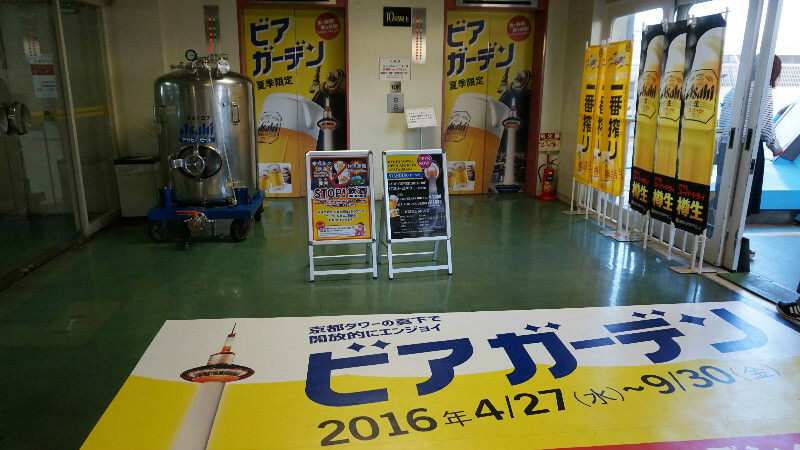 The elevator hall of the 10th floor is also decorated with the color of beer. 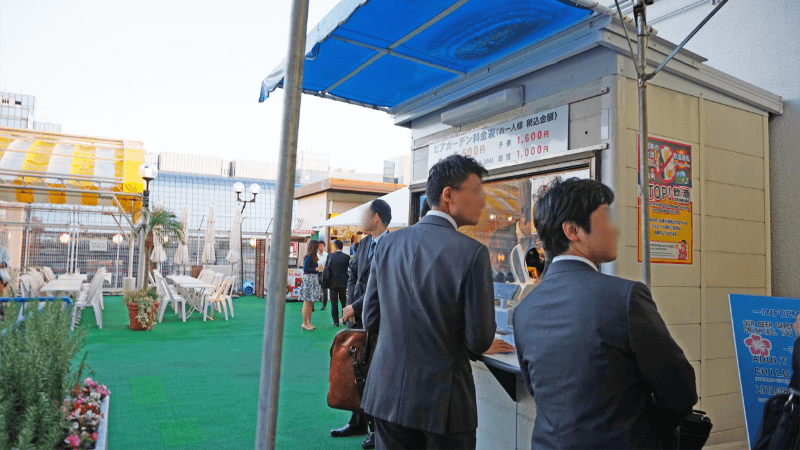 At first, we purchased tickets on the ticket booth which is located on the right side of the entrance. Behind the ticket booth is a beer garden area. 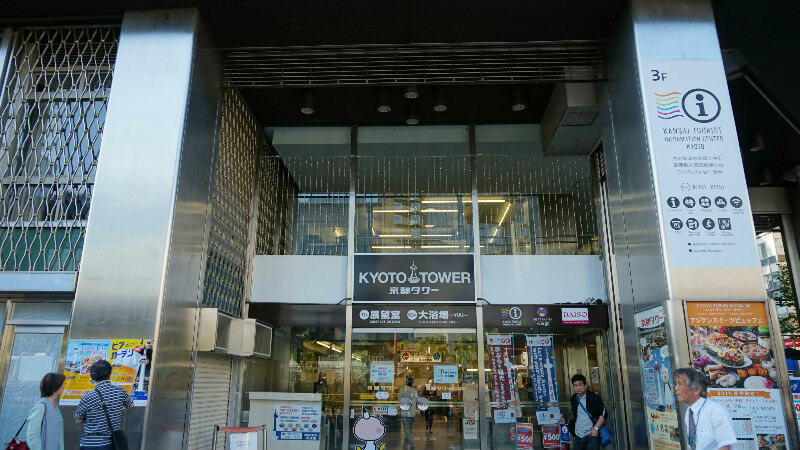 We were really surprised at the size of Kyoto Tower. We had never seen it at such a close range. 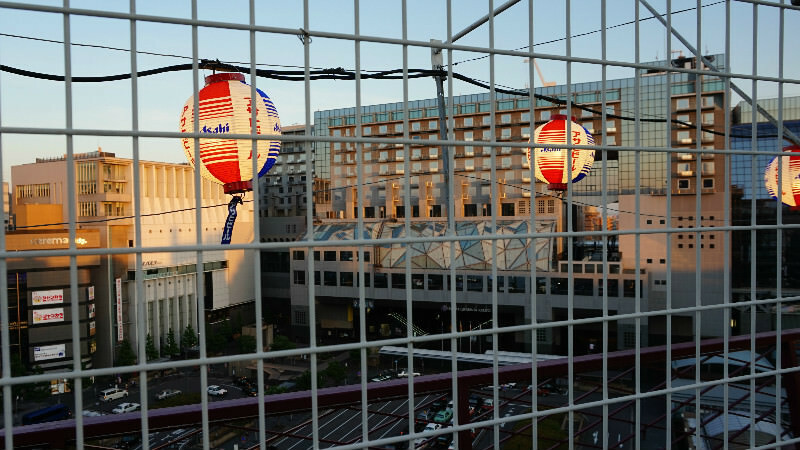 In addition to that, we could see the scenery of Kyoto station! Good breeze made us relax. Drinks are served on the drink counter. 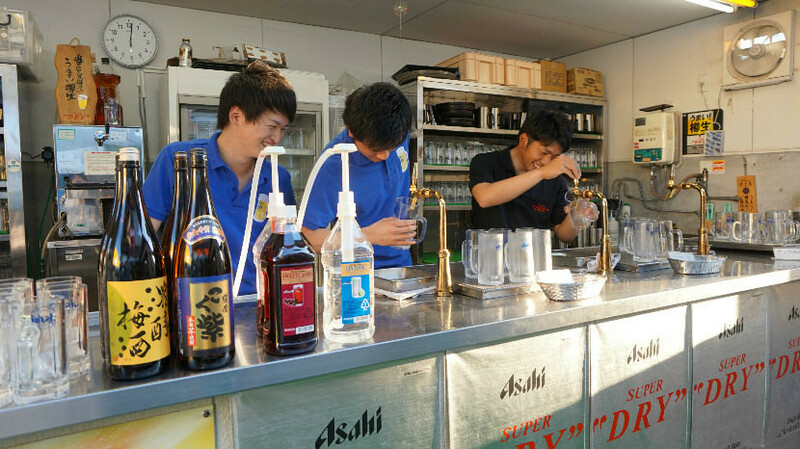 Draft beer, plum wine, Japanese sake, shochu and cocktail are available. 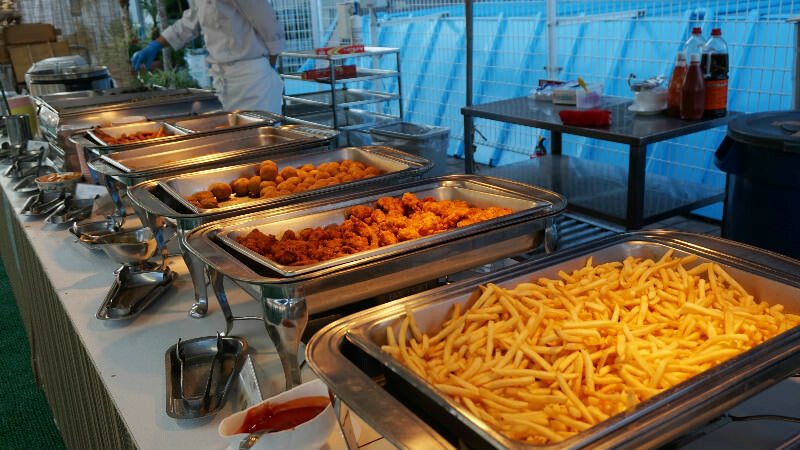 Various kinds of foods are served on the buffet line. 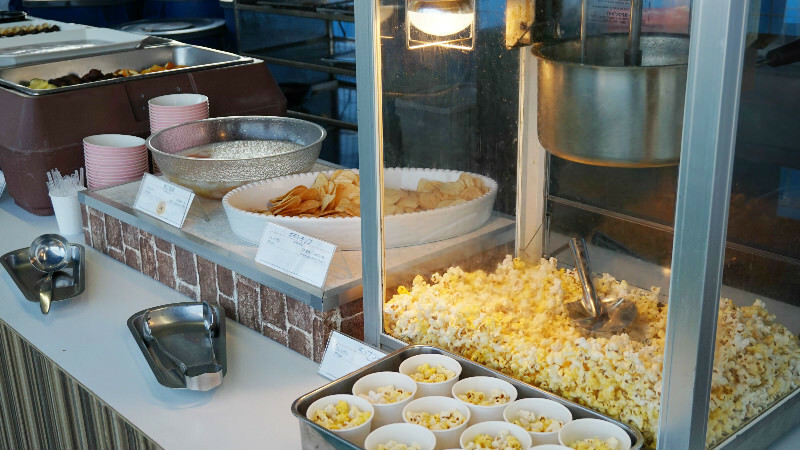 Please take your favorite foods and drinks as you want and make a taste in open space! We felt as if we were in heaven! As it became darker, the beer garden got crowded with those who finished their work. After the sunset, we could enjoy the illuminated Kyoto Tower as well. It was also really beautiful! The day we visited the beer garden was pretty sunny, so there was a big line even before the open. Families, friends and business men also enjoy their own time while drinking beer. 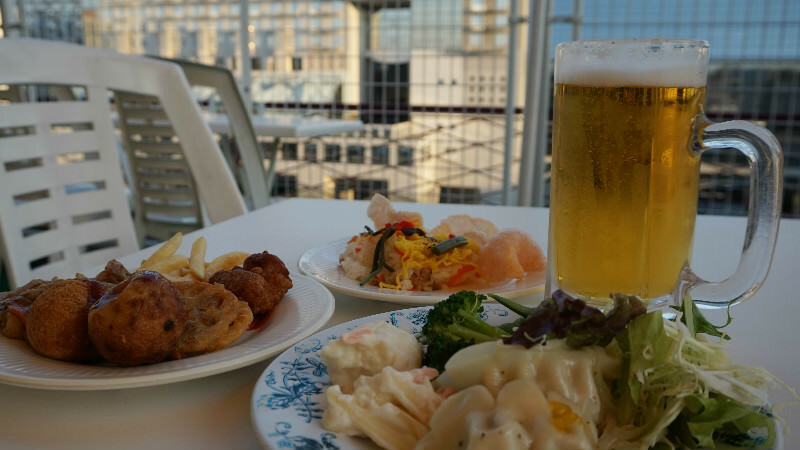 One of the good point of Kyoto Tower Beer Garden is the wide variety of foods. 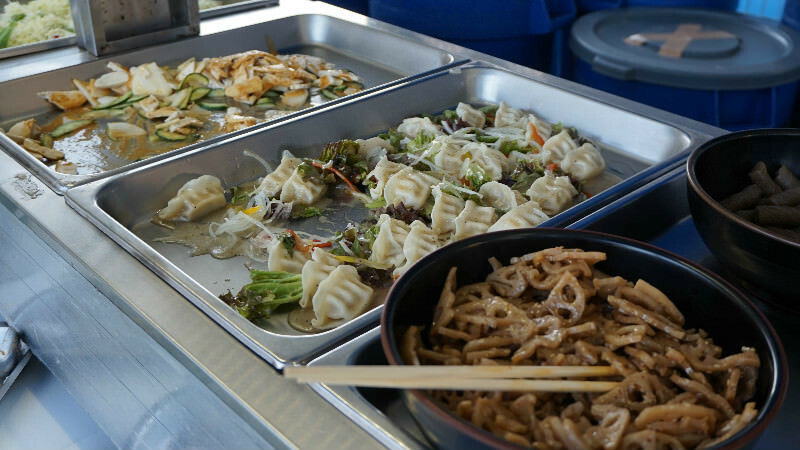 Not only usual menus such as fried potatoes, chicken, or noodles but also takoyaki or dim sum are offered. 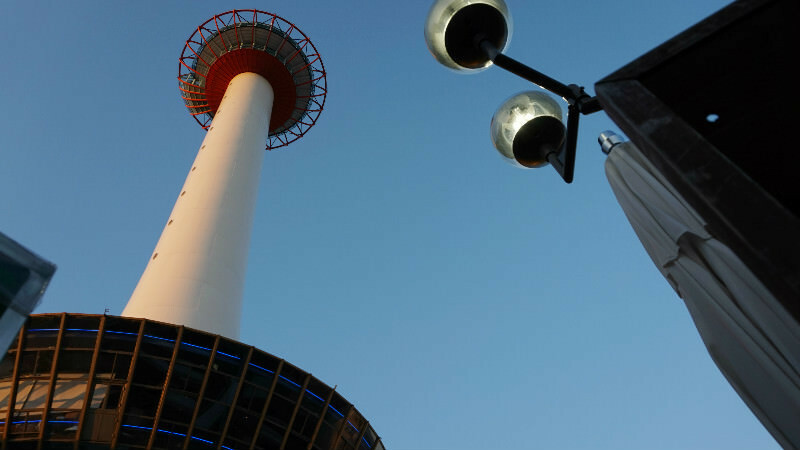 In addition to that, we could see Kyoto Tower at a close range, it may be illuminated after the sunset.